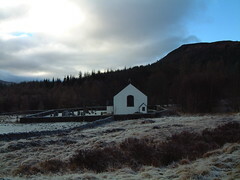 The graveyard at Innerwick is	still in use. It is within the church grounds of the Church of Scotland at Innerwick. It	does	not	contain	any	pre-1855	inscriptions.